1/ Pressure on your instep (top of foot). 2/ Pressure around your calf muscle. 3/ Pressure directly on and around your toes. 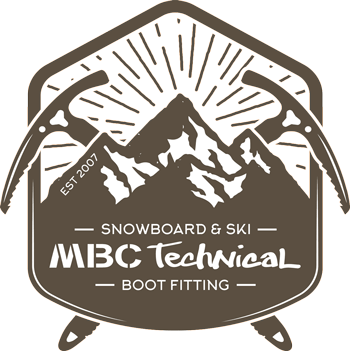 1/ This one can be relieved by simply not tightening your ski boots / snowboard boots and / or snowboard bindings up too much. You may well have heel lift also which is the reason that you over tighten, this is where SHL™ can make all the difference! SHL™ will hold your heels down and mean you don’t feel the need to overtighten. The resultant pressure on the top of your foot (instep) stops blood flow to your toes and pins and needles occur. 2/ Can be relieved with a Heel Raise. Lifting the heel and hence the lower leg will make the top of the boot feel lower and therefore reduce any pressure on the calf muscle where blood flow can then be reduced to the foot. 3/ See solution to #7.